As Police Capt. 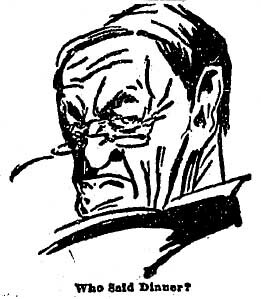 Flammer approached Yuma, Ariz., to take custody of George White, he noticed the smoke of hundreds of campfires made by hobos burning old railroad ties. The hobos, Flammer learned, were avoiding Yuma because the marshal meted out hard justice to vagrants, as he warned in posters all over town. But Flammer also learned all those homeless men were heading for Los Angeles. 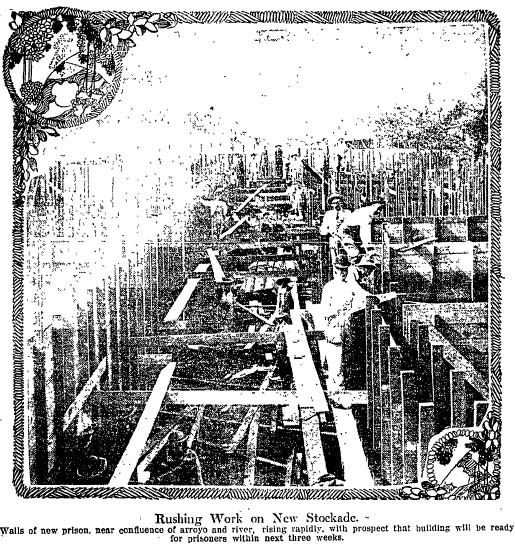 The Times also noted that the city planned to build a stockade to accommodate all the tramps who were expected. Not so simple a task, however. While one faction wanted a stockade in the riverbed, another thought it should be in Chavez Ravine. Still others wanted to use the money for a new automobile for officials. The council was eventually split between putting the stockade in Chavez Ravine or next to the jail on Hill Street. Police, meanwhile, backed a proposal to add cell space by cutting the jail’s existing “bull pen” horizontally with a new floor halfway up the wall. Eventually, it was noted that the state penal code called for a $5,000 fine and imprisonment for inhumane treatment of inmates; the grand jury began looking into the situation. 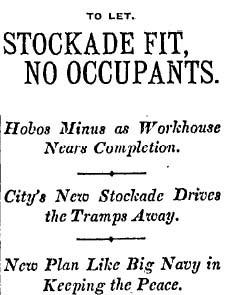 By the end of January 1908, city officials rejected the idea of a stockade in favor of a new jail or workhouse. Meanwhile, a public works program was begun for unemployed men with families to build a boulevard between Griffith and Elysian parks. 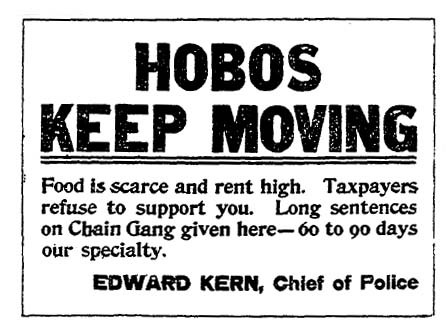 In February 1908, the council reversed itself and put out bids for a stockade “near the sand pits east of Elysian Park.” But by the time the stockade was finally built in June 1908, “hobo season” was over and there were few occupants.